The B525 HD webcam provides key features that offer a superior HD video calling experience at an affordable price, including 720p for HD quality imaging, autofocus for image sharpness at multiple distances, 30 fps for fluidity during the call, and excellent microphone sound quality. The B525 not only is plug-and-play for use in your favorite UVC compliant video software, but also certified for Skype and Skype for Business. With the 360° swivel, easily position the camera at multiple angles whether for single party or multi-party calling. And if you don’t want to be seen, swivel the camera away from you for privacy. 720p HD up to 30 fps with autofocus -- images stay razor sharp in high definition, even in close-ups (up to 10 cm from the camera lens). Integrated fold-and-go design let’s you easily pack the camera and take it with you without needing a separate case – perfect for the busy professional on the go. Maintain high quality image calling even in offices or conference rooms with lower lighting. 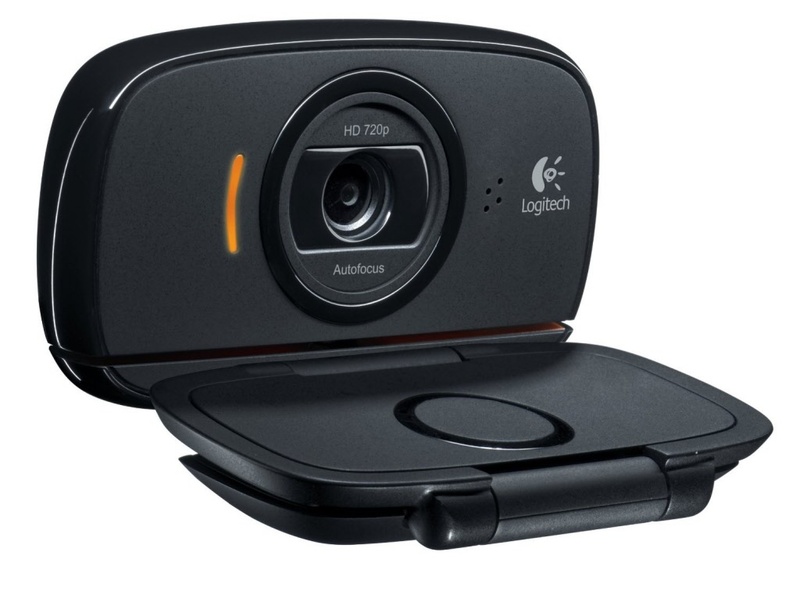 Just plug in the Logitech B525 HD Webcam and start up your application to begin video calling. Built-in mic ensures the sound quality is clear during professional conferencing. Fits your LCD monitor or laptop wherever you work.